Two police marksmen who killed a man carrying a table leg they mistook for a gun will not face disciplinary action. 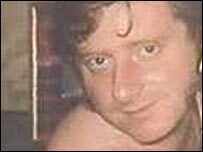 A report into the 1999 shooting of Scot Harry Stanley in Hackney, east London, has concluded that their actions were "appropriate in the circumstances". But the Independent Police Complaints Commission report urges the police service to change the way officers write up accounts of incidents. Prosecution of the two officers for murder was ruled out last October. The current system - which allows officers to confer before writing up fatal incidents - had led to the allegation that "recollections were fabricated" and must be revised, the IPCC report said. Officers who fire fatal shots should be treated "immediately like any other significant witness" and "not permitted to pool their recollections before giving an account", it added. The report also called for debriefings to be recorded. As for the incident itself, the IPCC concluded that the officers' actions were "appropriate in the circumstances" despite allegations they were too hasty in firing their guns. Mrs Stanley said on Thursday she was "very angry" the officers had "walked away untouched". "My fear is that this decision means the police will see this as a green light for their shoot-to-kill policy and that innocent people are at greater risk from armed police," she said in a statement. Home Secretary Charles Clarke told the BBC that individual officers, doing a "difficult job", should not be vilified. The IPC's conclusions would be taken "very seriously", he added. Scotland Yard assistant commissioner Steve House said there would "continue to be a great deal of sadness" about the incident. "However, today's announcement does finally bring to an end years of waiting for our two officers and their families who have also been under enormous strain," he added. Mr Stanley, originally from North Lanarkshire, had been carrying a coffee table leg in a blue plastic bag when the officers opened fire as he walked home from a pub in September 1999. The officers arrived on the scene having been wrongly tipped off that the painter and decorator was carrying a sawn-off shotgun in the bag. Insp Sharman shot the father-of-three in the head, killing him instantly, while Pc Fagan also opened fire.